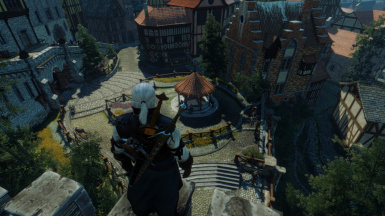 Removes fall damage, so Geralt can freely attempt to parkour around Novigrad without risking a trip back to a loading screen. Updated for v1.30+! Removes fall damage, so Geralt can freely attempt to parkour around Novigrad without risking a trip back to a loading screen. - Just unzip the download file and drop the modNoFallDamage folder into your Witcher 3/mods folder. If you don't have a mods folder, create one.